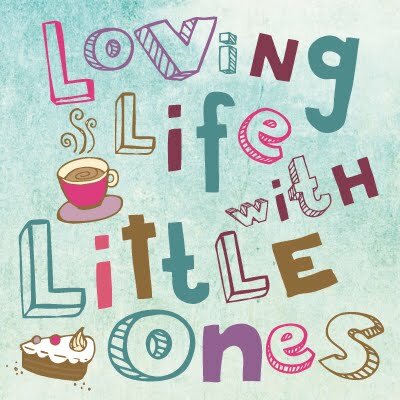 Loving Life with Little Ones: The one about fruit! Fruit, One of your 5-a-day right. Well, there is certainly no trouble getting this stuff into the Little Ones, in fact I am actually worried that they eat too much of it, can you actually eat too much fruit? A bowl like this of fruit will generally last us 2 days and don't forget about the punnet or three of various berries in the fridge as well! Little's 1 and 3 are in particular fruit monsters and always hungry, asking for food, so I generally offer them fruit rather than other things first. Breakfast: A chopped up banana on cereal or blueberries on porridge, brioche/toast with grapes/banana. 2nd breakfast (often requested 5 minutes before we leave for school, therefore something quick that can be eaten while getting ready to leave): Sometimes toast if time but generally fruit/fruit puree pouch thing or a yoghurt. Morning Snack: The girls have to have a piece of fruit or vegetable for snack if they are at school-but if they are at home they will be offered fruit anyway and a biscuit or something like that. Little 3 has the same if he is at home, if he is at the childminders he usually has some form of carbohydrate like crackers or breadsticks but I then bring him some berries or grapes in a pot to eat on the way home as I pick him up at lunchtime and he is generally hungry. Lunch: There is always some form of fruit at lunch, in the girls lunchboxes at school, as part of a sandwiches and bits snacky lunch or as a pudding if Little 3 has something hot. Afternoon Snack: The girls get a 'free piece of fruit from the government' at school in the afternoon and my girls always make sure they get their quota at hometime. If they have had their arms full of their coats, bookbag, drink, papier mache ladybird etc they always dash back in to get their fruit after dumping their things on me. Rarely do they not have a piece. Little 3 usually has some fruit before or after the school run too. The Little Ones are generally fruited out by this point and only want carbs and sweet things as another snack when they get home from school while waiting for their tea but if they see a new punnet of grapes or something different (this week I have been buying apricots and kiwi) on the side they will usually help themselves. Dinner: At dinner time we often have fruit for pudding, berries and chocolate sauce, banana and custard, peaches and ice cream, melon etc. The Little Ones probably have about 5-7 different fresh fruits a day, I know fruit is good for them but it is also high in sugar. I do wonder how much sugar they are consuming and whether it is harming their teeth although none of them have ever had any fillings and at the last check up the dentist said their teeth were lovely. They all have happy healthy tummies so fruit isn't causing an issue there either. Do your children eat a lot of fruit? Can you have too much? It really is one of those questions I need to find out the answer to. It is great that your children love to eat fruit, most of the children don't. It's so important to have the 5 a day in order for children to grow up healthy, getting all the vitamins they need in a natural way. They do love their fruit, we spend a fortune on it but I’d rather than than some other foods.